Shemagh Tactical Desert Scarf For Sale. 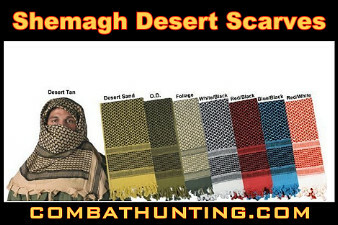 We have Shemagh Tactical Desert Scarfs For Sale. This Military Shemagh Scarf is traditional desert head-wear designed to protect the head from sun and sand. Our Military Shemaghs Tactical Desert Scarves are used by Military Soldiers world wide and also as a fashion accessory. The military scarf also makes for a great survival tool and is an easy add to your bug out bag.